Jerusalem, Israel—I’ve spent the past week in Israel listening to as many voices as I could. Based on what I’ve heard, a rough summary of the situation is this: Benjamin Netanyahu offers no viable alternative to the status quo, and the opposition offers no viable alternative to Netanyahu. Until Mahmoud Abbas recognizes Israel as a Jewish state, the prime minister says, serious talks are impossible. And besides, negotiating with a coalition that includes Hamas is unthinkable. For their part, the Palestinians are insisting that serious talks can’t begin until the Israelis endorse the “1967 borders with agreed-on swaps” principle that President Obama articulated last month. Meanwhile, the once-dominant Labor Party is all but defunct, and Kadima is riven by debates over such momentous matters as their leader Tsipi Livni’s alleged mismanagement of party funds. While Netanyahu is hardly a giant, he bestrides the Israeli political scene like a colossus. The near-certain consequence of these realities is continuing stagnation. The skeptics, of course, love to object that “the status quo is unsustainable.” If I had a dollar for every time I’ve encountered that phrase over the past 44 years, I could retire tomorrow. The majority of Israelis actually seem comfortable to the point of complacency with today’s de facto truce and limited Palestinian autonomy. The Palestinians are anything but comfortable, of course, but what can they do? If they choose to take their case to the United Nations General Assembly this fall, they’ll get a symbolic vote of support that changes nothing on the ground. To be sure, non-violent demonstrations could mobilize sympathizers around the world while further isolating Israel. But the Israelis are working quickly to deploy more effective crowd control weapons and tactics and to create a more seamless allocation of responsibilities between the IDF and the police. Unless they drop the ball, they should be able to avert a repetition of the army’s heavy-handed and needlessly lethal response to recent breaches of the line of demarcation between Syria and the Israeli-held Golan. Many retired generals and former intelligence officials, for their part, regard Netanyahu as a reckless adventurer guided more by dogma and short-term political calculations than by a sober analysis of long-term national interests. They may well be right. But Netanyahu clearly thinks of himself as a principled visionary with time on his side. In a recent interview, he referred to the decades it took for the conflict over Northern Ireland to yield to fruitful negotiations. He’s waiting for the Palestinian equivalent of Sinn Fein’s abandonment of armed struggle and willingness to accept a divided Ireland. The Palestinians believe they’ve made that transition without getting much in return; Netanyahu disagrees. 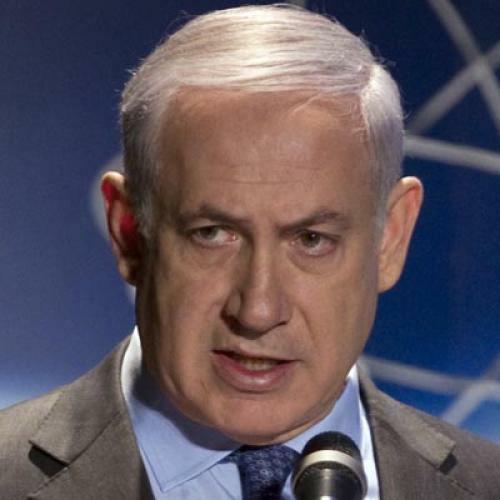 Some worried Israelis think that it’s stupid to antagonize the government of the United States; Netanyahu thinks that his current strategy will enable him to dominate American as well as Israeli politics. And there matters stand. I wish I had more confidence that the United States can make things better. But our influence in the region is at a very low ebb, and even supporters of the Obama administration concede that its efforts to date have been counterproductive. Each time the administration enunciates more “even-handed” policies, the Palestinians adopt them as preconditions for renewed talks while the Israelis dig in their heels. I would have thought that the art of diplomacy is not to say what you think to be true, but rather to use all instruments of national power, including verbal evasion, to get the parties themselves to act in accordance with that truth. Speeches can be tools of diplomacy; they are not substitutes for it. The administration is running out of time—may already have run out of time—to get it right.